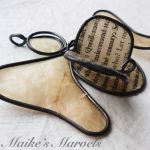 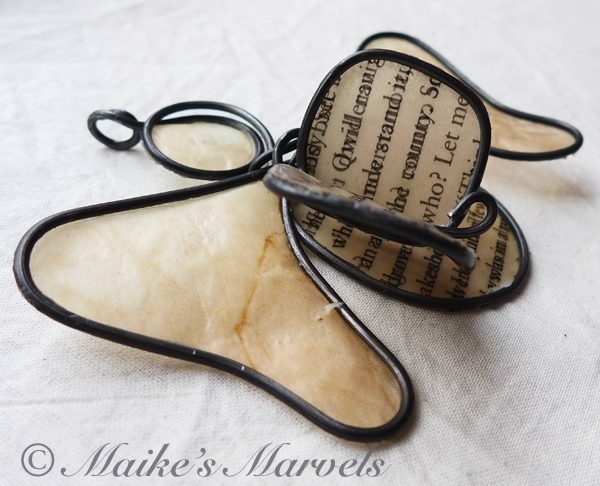 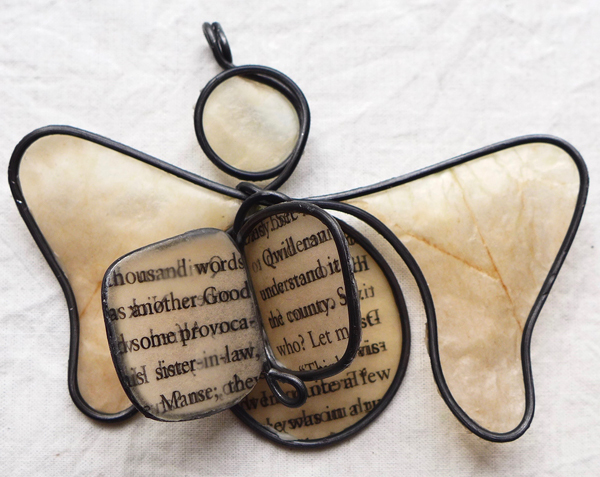 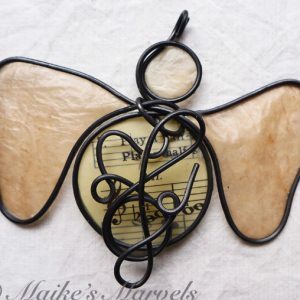 For the bookish person in your life, a reading angel is the perfect gift. 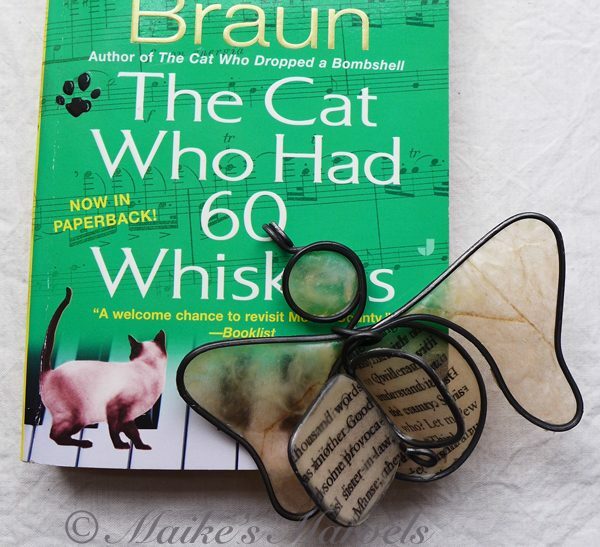 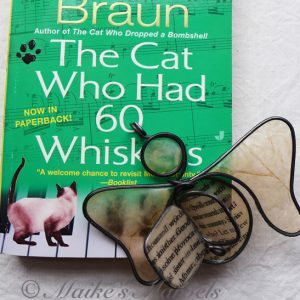 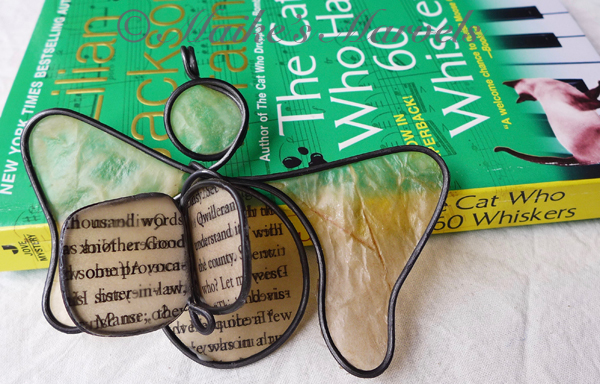 This angel was made from a page of the â€œCat Whoâ€¦â€ Series by the late Lilian Jackson Brown. 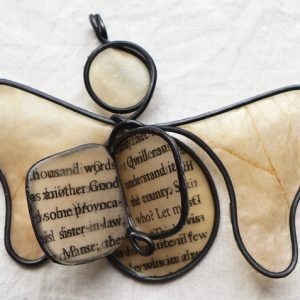 Qwilleranâ€™s name is dropped in this angel if you look closely. 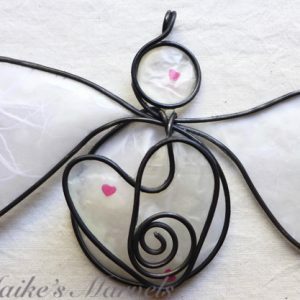 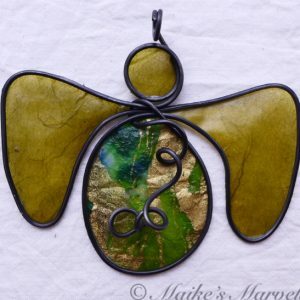 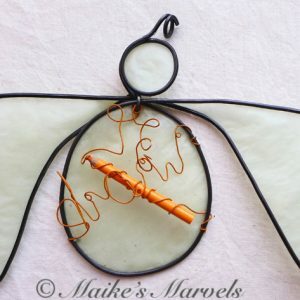 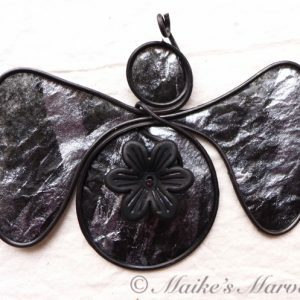 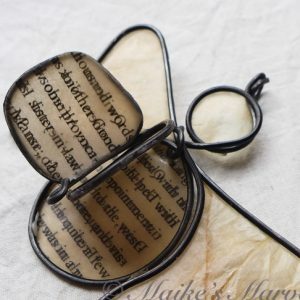 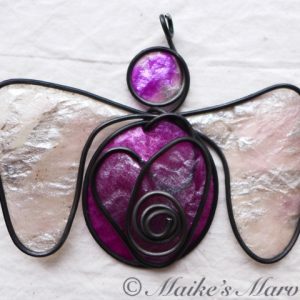 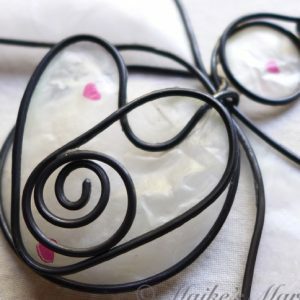 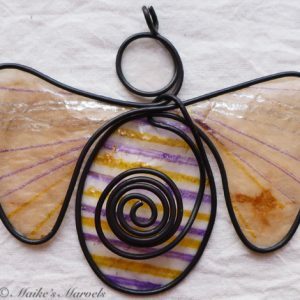 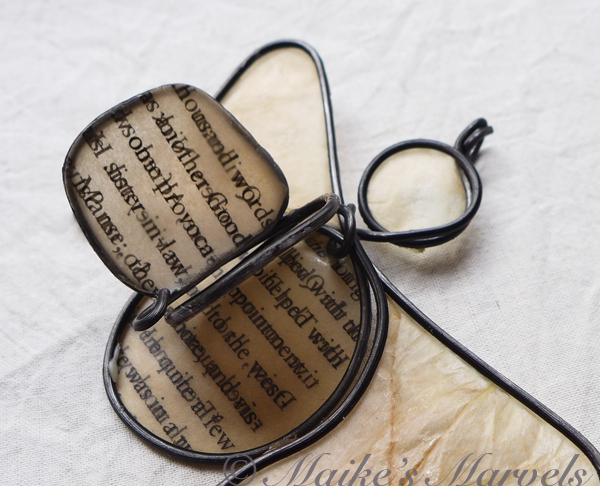 Steel wire was hand-bent into the angelÂ shape, embellished with a wire book. 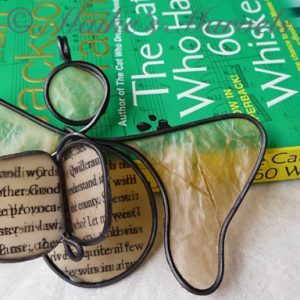 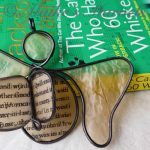 A page from The Cat Who Had 60 Whiskers was cut out and dipped in encaustic medium, as well as tissue paper for the wings and head. 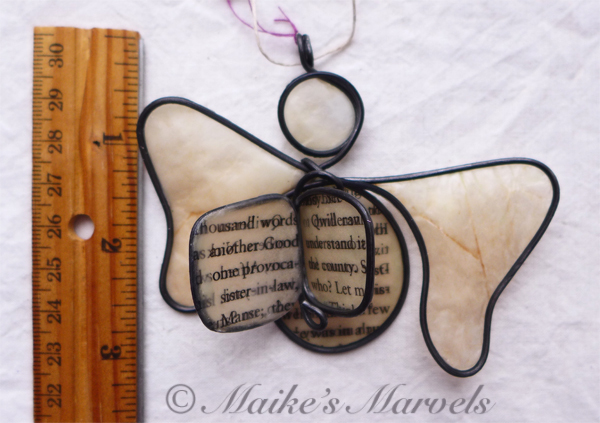 TheÂ paper was attached to the steel wire with the beeswax and resin mixture. 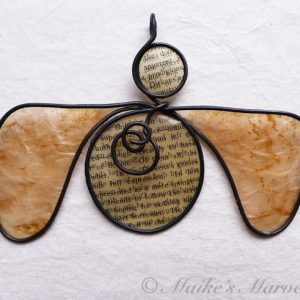 It comes with aÂ tan hemp cordÂ for hanging. 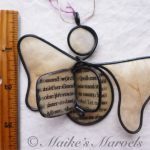 This angel measures 3 tall by 3 3/4 inches wide and 1 inch deep.